A warning box pops-up that you may lose data. 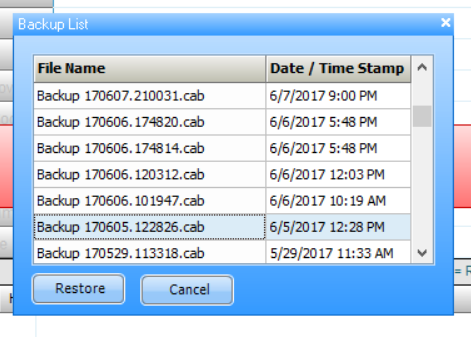 If you are sure you need to restore your database click "Yes"
A blue box will pop-up with previous dates from which you can select. 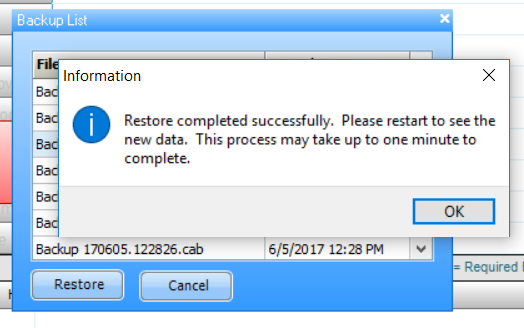 Choose a date prior to when you began having problems and click "Restore"
When the process has completed you will be prompted to restart the software. Close the software and reopen to see the changes that were made. If you are still seeing the same problems you may need to restore the database again to an earlier date.